Happy day four! Hopefully, you are feeling more balanced and properly nourished from three days of clean eating goodness. Today continues with immune boosting and anti-inflammatory rich turmeric scrambled eggs with dark leafy greens, followed by a Moroccan style stew, and a fully loaded stir-fry packed to the brim with veggies. Whisk together the eggs, turmeric, salt, and a few grinds of pepper in a bowl and set aside. Warm half of the olive or coconut oil in a pan over medium heat. Add kale leaves and sauté until tender, about 2-3 minutes. Transfer kale from the pan to a serving plate. Wipe away any residue from the pan. Warm the remaining oil over medium-low heat and pour in eggs. Cook stirring constantly until eggs are set, about 1-2 minutes. For lunch, enjoy a bowl of leftover Harira topped with fresh herbs. As a snack, reach for hydrating crispy, spicy cucumbers to cure your three o'clock crunch fix. In a bowl, whisk together 2 tbsps brown rice vinegar, 1 tsp minced red chili pepper or dried chili flakes, and 1 tbsp toasted sesame oil. Cut 2 medium-sized English cucumbers into 2-inch sticks. Place cucumber into a bowl with dressing, sprinkle with black or white sesame seeds, chopped cilantro, and toss to coat. Refrigerate for at least an hour before enjoying. This very veggie stir-fry is loaded with cruciferous vegetables. Broccoli, kale, and cabbage are all prominent members of this special group of veggies which are known for their cancer preventing properties and anti-inflammatory effects. The jalapeños in this recipe can also assist with weight management. Capsaicin, which is the component in peppers that gives them their spice, boosts your metabolism and may also encourage a higher intake of water and a reduced consumption of food due to the heat. In a wok or dutch oven ( I use this pan), warm 1 tbsp of olive oil over medium heat and add the garlic and jalapeños and cook for 1 minute. Add in broccoli stems and kale stems and cook until just tender about 4 minutes. Add in broccoli florets and cover to steam. Once the broccoli is bright green and just tender, about 5 minutes, add in kale leaves and sauté until lightly wilted. Transfer vegetables to a bowl. Add 1/2 tbsp of olive oil to the pan and toss in cabbage. Sauté until soft. Transfer cabbage to the bowl with broccoli and kale. Add remaining tbsp of olive oil to the pan and toss in mushrooms. Sauté until mushrooms are softened. Return all of the vegetables and the rice in the pan and cook for a minute to combine. To serve, transfer to bowls, top with hemp seeds, scallions, and a squirt of lemon. 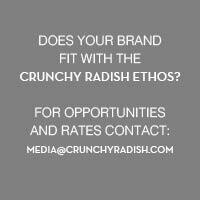 The last day of the crunchy radish clean-up is tomorrow! Keep up the great work.